Already know which Cisco product you need? Get your best quote for new & refurbished Cisco networking equipment here! 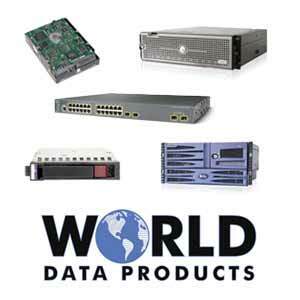 World Data Products sells new surplus and refurbished Cisco switches, routers, and other Cisco networking equipment including security appliances, wireless access points, controllers, Cisco cables, optics and modules. Serving customers in data centers for thirty years, we guaranty quality. Our certified ISO 9001:2015 Quality Management System ensures that experienced technicians test every piece of hardware in our inventory. Looking for something not shown on the website? Let us know because we may have it in stock but not have it listed here for sale. Need it tomorrow? Many of our items can be shipped overnight for next-day delivery. In addition to sales and repair services, World Data Products also provides solutions for companies that need an IT Asset Disposition partner. If you are looking to sell used network equipment and want to work with Cisco networking buyers that have experience and a track record of buying used equipment packages of all sizes, you have come to the right place! We are currently seeing a lot of buying and selling activity for the following used Cisco Catalyst switch models: 2960 and 2960x, 3560, C3560x, C3750g, the 3750, 3850, and other Cisco PoE switches. Demand is still strong for Cisco 2901 Integrated Services Routers, and Adaptive Security Appliance firewalls such as the ASA 5505 and ASA 5506. Is your company about to refresh Cisco networking equipment? Use the Sell Hardware form and let us know what you are looking to sell.